Tractor rollover accidents are often fatal. To protect tractor operators, manufacturers have developed Rollover Protection Structures (ROPS) to stop the operator from being thrown out of the tractor or crushed in case of a rollover. Kubota ROPS bar structures are designed for protecting tractor operators in the case of a tractor rollover. What are ROPS on a Tractor? All three these forms of roll over protection for tractors perform the same function: reducing the risk of death or serious injury by limiting the degree of rollover. A ROPS with enclosed cab can also reduce the risk of the tractor operator being thrown from their seat as the tractor rolls over rough ground. Why Are Roll Over Protection Structures for Tractors Important? According to a recent systematic review of research on tractor rollover accidents, farm tractor rollovers cause roughly 200 deaths every year in the United States. Studies conducted in Europe have shown that ROPS can practically eliminate deaths from tractor rollover accidents. In studies in the United States, the only rollovers of tractors fitted with ROPS that have resulted in deaths are cases where the tractor operator was not wearing a seatbelt. The majority of tractor rollover accidents involve an experienced operator. Even if you feel very confident about your ability to handle your tractor, it is still important to have a ROPS fitted. In the case of a rollover accident, using a seatbelt and ROPS will almost certainly save your life. Leading tractor manufacturer, Kubota, has fitted ROPS onto all its new tractors as standard since 1985. All new Kubota tractors today come with a ROPS fitted as standard. This important safety feature could save your life in an accident, which is why Kubota includes it on every tractor the company manufactures. To find the right Kubota tractor for your operation, check out Bobby Ford Tractor and Equipment’s inventory by visiting our Angleton, Texas location . Kubota has also made ROPS available for older Kubota tractors. To promote the safety of tractor operators, Kubota offers a ROPS program that can fit any older model of Kubota tractor with a seatbelt and rollover protection bars. 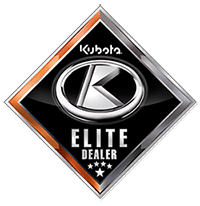 Kubota offers a special price to owners of older tractors who want to fit their equipment with a ROPS and seatbelt. To access this promotional price, contact your local tractor dealer. The Kubota ROPS included in this special package deal has a rigid-frame, two-post design. This design of ROPS has been thoroughly tested and found to offer a good level of protection for tractor operators during a tractor rollover accident. At Bobby Ford Tractor and Equipment, we know how important ROPS are for protecting tractor operators. To find out more about Kubota ROPS and the benefits they can offer you, contact Bobby Ford Tractor and Equipment online or call us at 979-849-5400.